Character is defined as the way someone thinks, feels, and behaves; it is what sets a person apart from others. 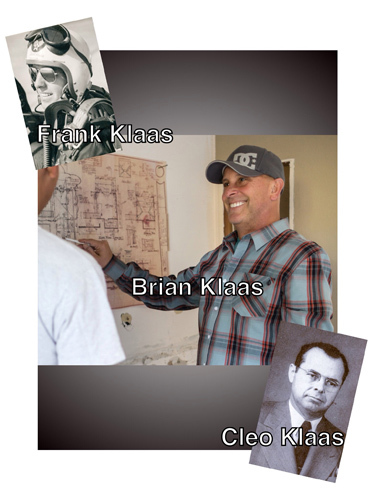 More than twenty years ago, Brian Klaas founded a cabinet making company using values held by three generations of Klaas men; values that earned them a reputation for high professional standards, attention to detail, and ingenuity. Today, Brian Klaas combines incomparable creativity and craftsmanship to create truly custom products. Brian’s work has been seen in major architectural publications, as well as the Pasadena Showcase House of Design (2003). Brian was also the winning designer on an episode of HGTV’s “Designers’ Challenge”. A passion for bringing his customers’ dreams to life sets Brian Klaas apart from the others. It is his character and the foundation of Brian Klaas, Inc.